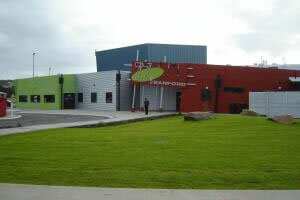 Albany PCYC is at 77 Sanford Road, Albany in a purpose built youth centre which has been open since June 2005. PCYC is a not for profit organisation creating opportunities for young people in the community through the delivery of recreational and educational programs. PCYC is about a partnership with community and government providing opportunities to engage and develop young people in order to reduce offences against or by them through implementation of quality and relevant youth services. Albany PCYC offers a broad range of activities that include Air Rifles, Archery, Aikido, Badminton, Boxing, Fencing, Gymnastics-Toddlers, Kindy, Beginners Upwards, Jurate Self Defence, Jujitsu, Police Rangers, After School and Vacation Childcare, Keys 4 Life, Strike Program and Room Hire for functions and seminars. Powell Security Services installed a comprehensive intruder alarm system to the new PCYC premises. The installed system offers a combination of intruder alarms, and smoke detection for complete site security. Having smoke detection attached to the security system ensures a response in case of fire. The complete system is robust, user friendly, and well suited to the multi-function, multi-user requirements of PCYC. It also has capacity for future expansion as the centre grows.